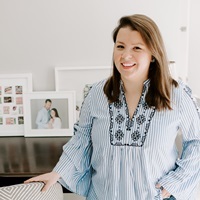 I can’t get over the perfection of the styling in Amanda Dawbarn’s home (of 100 Layer Cake fame) on Glitter Guide this week. 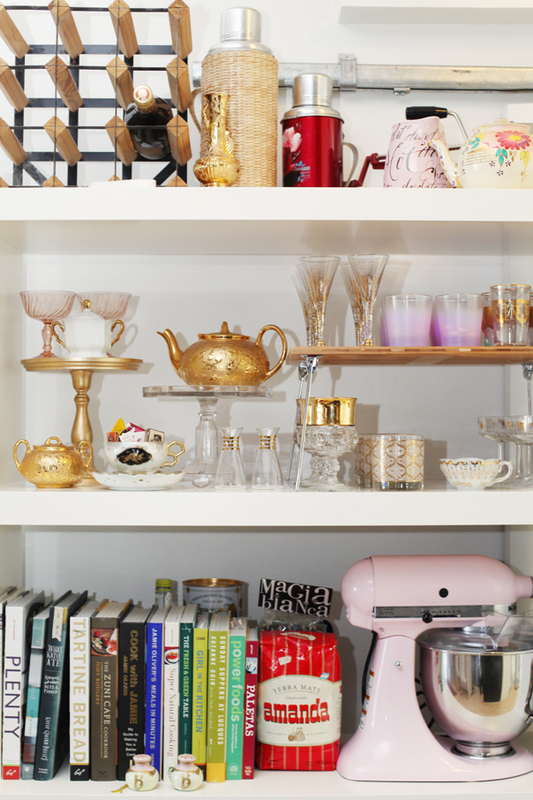 The gold glassware, teapots, and pink mixer give such a girly, almost dressing-room-like feeling to the kitchen. There are just little touches of glamour everywhere; I am always drawn to spaces that have that overtly feminine look, but I’m usually not brave enough to push the envelope this far in my own space! Read the full interview and see the rest of her space here. The shower dress hunt. Easter Brunch. 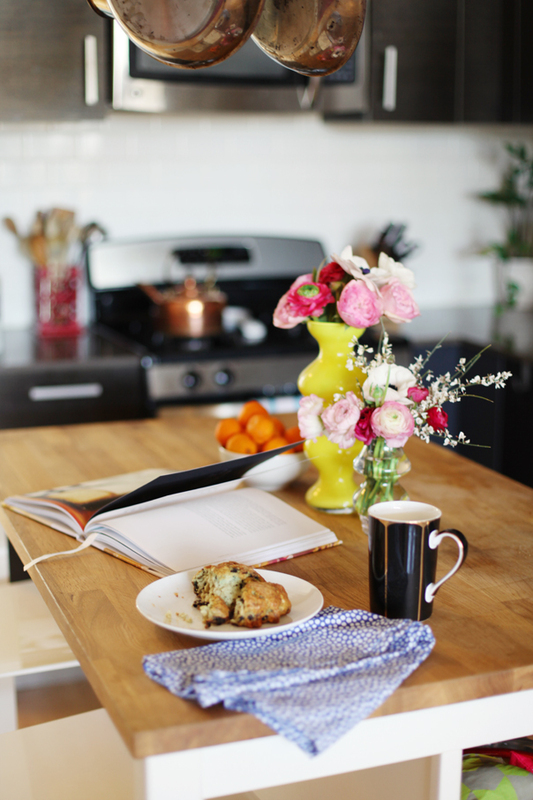 3 Responses to "A Glamorous Kitchen." I want to live there! This is gorgeous. Sigh. I mean… dream kitchen. That’s all I have to say. What’s up, I log on to your blog on a regular basis. Your story-telling style is witty, keep it up!